Before it was making a legion of Wear OS smartwatches and hybrids, Fossil was putting out beloved regular watches for years. Now the company wants to honor that tradition with a new series and by bringing some of that nostalgia to its modern timepieces. The Archival Series is a limited edition re-release of some of Fossil's most beloved designs, but they do not however include any smarts. Although, if you do want to get in on the Archival love-in, Fossil has told us that it will be making some of the watch faces from the classics available on its Wear OS smartwatches. The first watch in the new Archival Series will drop in May 2019, and a new watch will arrive every month throughout the year. It's not clear how many of each watch Fossil will produce, it's also unclear how much these watches will cost. Fossil is also launching an exhibit called The (R)evolution of the Fossil Watch, which will take a look at how Fossil came to be, celebrate its classic designs, showcase how it jumped into smartwatches and offer a glimpse at Fossil's future. It'll launch in Basel, Switzerland before making its way to other European cities, then making trips to both Asia and the US. Finally, some parts of the exhibit will become permanent fixtures at Fossil's Texas HQ. 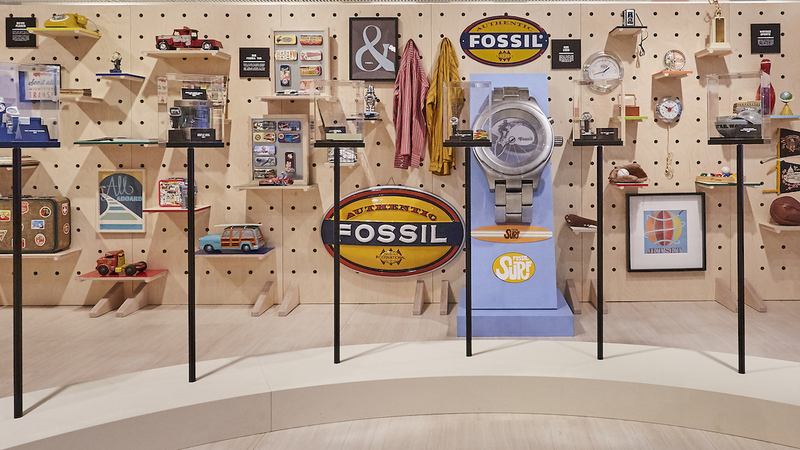 The company is also reviving its Collectors Club, which will allow collectors to take a look at vintage-inspired watches, limited editions and other designs that Fossil fans have collected. It's not clear if any of Fossil's smartwatches or hybrids will be part of this. The Collectors Club will begin on 25 March.